Do you remember when Fischerspooner were the best band in the world? How things have changed eh? Now we've got Coldplay and U2 tussling it out for the top spot while Fisherspooner have moved back underground to their roots with an understated album produced by the bloke behind the Killers 'Hot Fuss' among others. The electroclash elements are still firmly in place, and given a additional side of beef with punchy rock drums on 'The Best Revenge' to sound ratherlike New Order, while the slightly more successful 'We Are Electric' incorporates heavy set guitars with skittering electro beats. 'Money Can't Dance' ironically betrays their new big money sound with dense layers of synths and upper end pop production with a queerly baroque twist, before the album's fine mid-section with the Junior Boys alike 'In A Modern World' followed by the Italo-esque 'Supply And Demand'. 'Amuse Bouche' does a fair NIN impersonation to keep the run of good form going, before they step iwith 'Infidels Of The World Unite'. 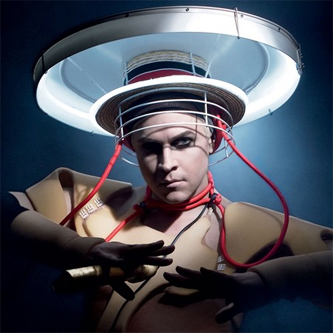 Fischerspooner obviously work best when they're making sleazy electro with hi-end production values, which is why 'Danse En France' tucked away at the end suits them so well.